Our decision to endorse Harrison Adams for Student Government Association (SGA) president, despite our suspicions that he is backed by the Machine, is rooted in the belief that he is ultimately the more qualified of the two candidates. Adams’ platform is well-developed and expansive. Not only has he outlined a large number of issues that he intends to address if elected, but he also has a specific, detailed plan on how to bring those ideas to fruition and the connections necessary to make them happen. Adams’ opponent, Marquis Hollingsworth, also has a strong platform, and Hollingsworth seems more genuinely committed than Adams to certain platform points, especially on the issue of sexual assault. In our interviews with the candidates, Hollingsworth placed a heavier emphasis on serving every student at UA than Adams did. However, he has a more narrow vision and seems to have fewer plans with less concrete or detailed ideas for carrying them out. 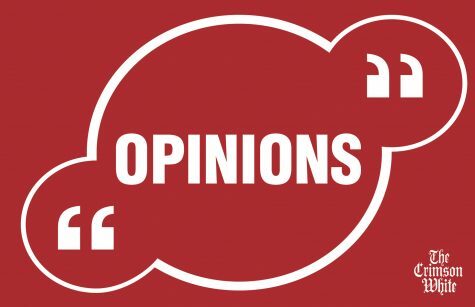 Not to mention, Hollingsworth lacks the connections Adams has been able to gain through his three years of experience within SGA – especially in executive positions – compared to Hollingsworth’s term in SGA Senate. Adams outlines a two-pronged platform consisting of student experience and health and well-being. STUDENT EXPERIENCE: To begin, Adams wants to cancel classes for the entire week of Thanksgiving break and extend the time frame students are given to drop a course without receiving a grade of “W” on their transcripts. He plans to work with Parking Services to allow students to complete community service hours in lieu of paying for parking tickets and is currently working to return electric scooters to campus. Adams also hopes to enhance students’ game day experience by adding charging stations to Bryant-Denny Stadium and letting students use their Dining Dollars at the concession stands, to name a few ideas. The Editorial Board believes all of these goals are achievable and, if implemented, will enhance student life, but asserts that these are relatively unambitious. We would like to see Adams seek to achieve a few more goals with the objective of creating a more equitable and diverse campus environment. HEALTH AND WELL-BEING: Adams said he wants to offer online counseling to students. He also seeks to provide students who live off campus with free medical overdose kits to help students struggling with addiction. Emergency preparedness is another part of Adams’ platform, ranging from how to handle inclement weather to what to do if there is an active shooter on campus. Given the prevalence of such issues as mental health, addiction and emergency weather situations on our campus, we believe that Adams’ goals have the potential to have a greater positive impact on students’ lives. DIVERSITY: Adams aims to implement Diversity, Equity, and Inclusion (DEI) officers in additional branches of Greek life and outlines ways to assist international students and student veterans. He addresses the need for more black speakers from Alabama to come to campus, and for the University to do a better job of promoting black history. Although we would like to see Adams embody a more genuine commitment to DEI, we believe his plans to promote DEI are a major step up from current efforts and adequately satisfy the need for progress on the issue. Regrettably, neither candidate stated plans to address issues facing the campus’ LGBTQ community without being prompted to address the topic. SAFETY: Finally, Adams plans to implement a sexual assault hotline on campus and revamp It’s On Us week, a sexual assault awareness initiative. However, it’s worth noting Hollingsworth made sexual assault a more prominent component of his platform, while Adams presented the sexual assault portion of his platform as more of an afterthought. Still, Adams’ ideas on the topic remain relevant and achievable. Although both candidates have been issued elections penalties – either in the past and during this election cycle – we believe they were likely accidental and did not factor into our decision-making process regarding whom to endorse. The Editorial Board encourages student leadership by people of diverse backgrounds, and by those who show a commitment to representing all students at the University. Hollingsworth by far exhibited a stronger commitment to representation than did Adams. However, Adams’ qualifications give him an edge that Hollingsworth ultimately lacks, and we believe Adams is well-equipped to make his plans a reality during his tenure as SGA president if he is elected. As an independent organization, The Crimson White Editorial Board encourages others to value a commitment to challenging the status quo and criticizing the Machine’s influence on campus. We also believe students should question how some SGA members rise through the ranks of the program more easily than others, and what opportunities they may have been afforded to get ahead within the University’s existing power structures. Although we value many of the ideas espoused by Hollingsworth and his campaign, we reluctantly give Adams our endorsement. That said, we urge readers to take all available information about each candidate into account before voting on March 7 and select the candidates who best represent them. Our View represents the consensus of The CW Editorial Board. Shana Oshinskie, the CW visuals editor, recused herself from this column due to personal relationships with the candidates.